One Marshall University football player has found a unique route to a professional career. When Marshall defensive end Alex Bazzie finished his playing career at Marshall last season, he hoped at this point in the summer he would be preparing for a career in the National Football League. But after going through a rookie mini-camp with the Cleveland Browns and not receiving a contract offer, he decided to take a different route. That route has taken Bazzie to the British Columbia Lions of the Canadian Football League. 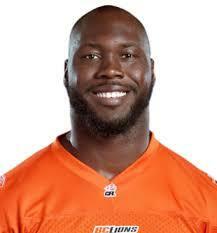 Bazzie went from hoping to just get a shot playing football as a career to being a starter for the BC Lions. The 228-pound Bazzie has found a spot on the defensive line with the Lions. He was one of just three rookies to start against the Edmonton Eskimos in the Lions opener Friday at home. Bazzie said it’s been quite an experience in his first exposure to professional football. “I was very humble and I came out and I worked hard every day and I just wanted to show that I could be an impact and soon enough it came to the point where coaches wanted me in the starting lineup and from there I just want to continue being humble and continue working and that’s what I’m still doing,” Bazzie said. Although league sits behind the NFL, the CFL plays on a field that’s longer at 110 yards than the NFL’s 100 and is wider at 65 yards compared to 55 yards. They also have 12 players on each side compared to 11 like you see in football in the states. Bazzie said it’s been an adjustment. "I’m still learning, it’s a lot to get a feel for, but as the days and weeks and practices go by I’m learning a lot and I’m picking it up. At the end of the day I told myself it’s football so don’t get caught up to much on what you don’t understand, remind yourself that it’s football and just go out there and play football,” Bazzie said. Bazzie finished his Marshall career with 66 tackles and 13 sacks in his last season and helped Marshall win its first ever Conference USA East Division Championship and a birth into the C-USA Championship game. Bazzie said his time in Huntington turned him into a man. “I was a young child coming in and I wasn’t quite sure how to be disciplined and how to carry myself in the proper manner and just being around the guys that I was around when I was at Marshall, the coaches and what they demand as their standards, it all helped me grow up fast,” Bazzie said. After losing the C-USA title game, Bazzie helped the Herd to a win in the Military Bowl against the Maryland Terrapins in Annapolis Maryland. For the Silver Spring, Maryland Native, not getting offered an NFL contract may give him the motivation to succeed in the CFL. “It helped me a lot, although I feel I went out there and left it all on the field, there is still a little bit of anger in me, I still carried a chip on my shoulder not being picked up, but just being here at BC now is the perfect fit for me and I was just happy that I was given an opportunity to be here,” Bazzie said. Bazzie registered three tackles in the season opener for the British Columbia Lions on Friday.